Homeopathy Is Under Attack: The Organic Community Needs To Help! Sadly - the same business forces working to disrupt the organic community are escalating their attacks on homeopathy around the world - hoping to destroy it in the name of corporate profits. OCA wants to do something to help! The National Center for Homeopathy (NCH) is the non-profit organizing body for homeopathic medicine in the U.S. They educate consumers and practitioners about the system and how to use it - while protecting it from these attacks. OCA is encouraging all our members to consider membership in the NCH. It is an organization that makes a real difference in this country. Members of OCA can join NCH for as little as $49 in the first year ($55 in following years) and 20% of your first year membership fee will be contributed back to the important work of OCA! That is only $4 a month to gain access to this great system of medicine. Given what you'd otherwise spend on a single conventional doctor visit for a sore throat, cough, or the flu, the savings will more than pay for your membership. Homeopathy at Home - a continuing series of regular, high quality, interactive instructional webinars (available free only to members). These webinars will teach you how to use homeopathy to treat yourself and your family, led by great instructors. The webinars in 2011 cover the basics of selecting remedies for various conditions including flu, ear infections, sore throats, coughs, stomach ailments, first aid and more. More advanced webinars are also available free to members. The terrific quarterly holistic healthcare magazine Homeopathy Today (magazine and online edition) - this most widely read homeopathic magazine puts you in touch with a world of practical information to help you learn and use homeopathy. Keeps you up-to-date on the latest books, events, research, political developments and people in the news. Read a few articles "free" and see article excerpts from Homeopathy Today here - take a look (http://www.homeopathytoday.org/) ! Access to weekly and monthly e-newsletters full of information about homeopathy you can use. NCH Homeopathic Practitioner and Resource Guides - these invaluable online guides will point you to practitioners, study groups, pharmacies, and more. The most comprehensive resource guide available. Discounts on Green and Organic Products - This benefit is brand new - Great member discounts on products from a growing number of green, organic and other supportive companies. 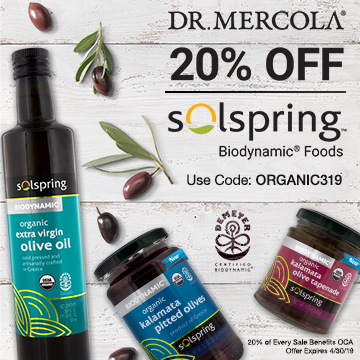 Enjoy savings on organic foods, healthcare essentials, and green cleaning products. News about homeopathy from around the world - including insights on the latest research in the field, Action Alerts when homeopathy is threatened and more! Click the "apply to order" button and the total will adjust to $49.00. then click "review order"
Review Order and click "Submit Order"
You may also call NCH toll-free at 877-624-0613 and tell them you are a member of OCA and would like to join NCH. The National Center for Homeopathy is important to the future of medicine and health care in America. Please support NCH and OCA by joining today!